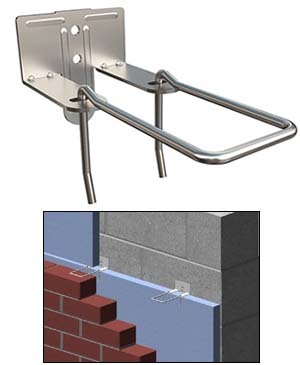 Surface mounted/anchor in tensions/no rigid cavity insulation. 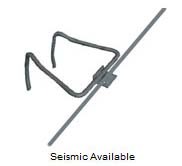 *Note: Seismic no longer required by code! 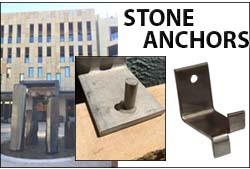 Embeddable triangular ties compatible with Type-III anchors. 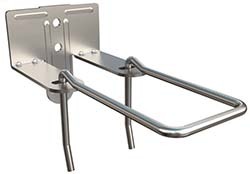 Surface mounted/anchor in tension/no rigid cavity insulation. 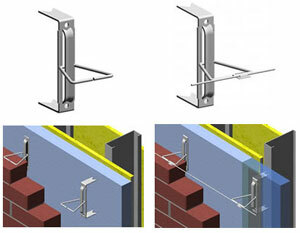 Surface mounted Pos-I-Tie makes positive contact with metal stud, wood, CMU and concrete without rigid insulation. 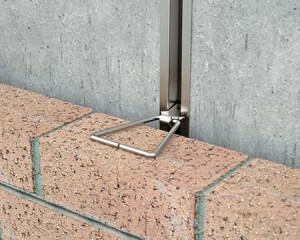 Installs quickly and easily on exterior walls with brick veneer. 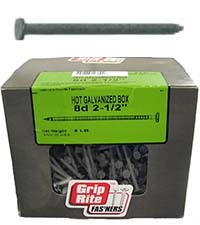 Provides positive contact with metal studs. Transfers compression loads to the steel stud backup. 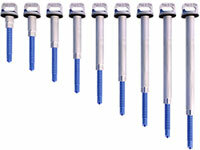 Surface mounted/pronged positive contact with stud without insulation. 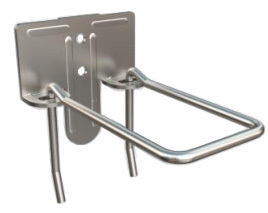 Surface mounted/anchor in tension/with rigid insulation. 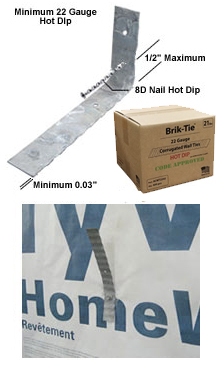 Surface mounted Pos-I-Tie makes positive contact with metal stud, wood, CMU and concrete with rigid insulation. 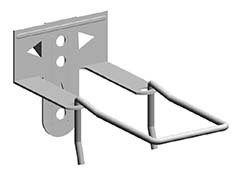 Surface mounted/pronged positive contact with stud with rigid insulation. 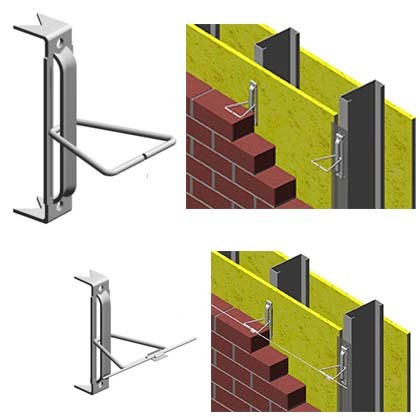 The Slotted Stud Tie (Type I) was developed for brick veneer steel stud wall construction where significant differential movement between the veneer and the steel stud backup wall is expected, such as high walls or multi-story buildings with full height veneer. 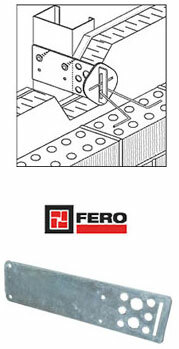 The Slotted Stud Tie (Type I) allows for up to 50 mm (2″) of construction adjustability and differential movement between the veneer and the backup wall. 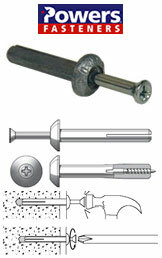 Hex Washer Head 1/4″ X 7/8″ Self Drilling (Tek) with attached neoprene washer. #10 X 1-1/2″ Hex Washer Head Self Drilling (Tek) with attached neoprene washer. 12 X1-7/8″ Hex Washer Head Scots® Teks 3 Fastener. Self Drilling (Tek) with attached neoprene washer. Drill point #3. #10-16 x 1-1/2″ Hex Washer Head. Self Drilling with attached neoprene washer. #9 X 2″ Hex Washer Head with attached neoprene washer. 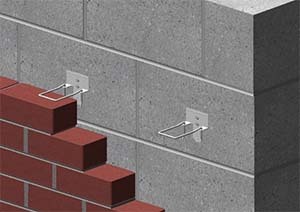 Attaching brick veneer anchors. Tie veneer to a poured concrete wall. Embedded into slot/anchor in tension. 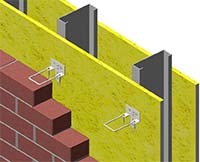 Tying brick veneer to CMU or Concrete Substrate without rigid insulation. 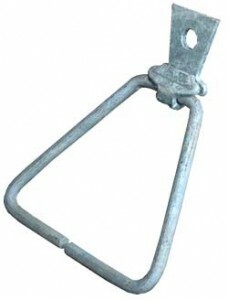 This unique, one-step drive anchor featuring a Phillips type head and a screw thread for use in concrete, block, brick or stone. 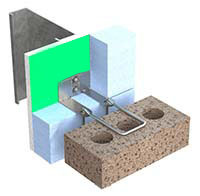 Tying brick veneer to CMU or Concrete Substrate with rigid cavity insulation.